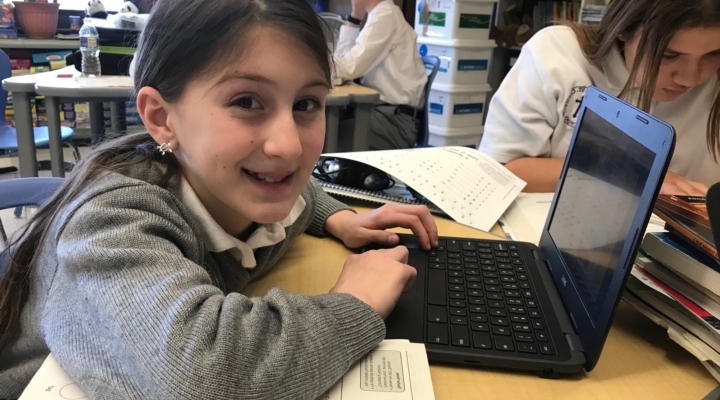 PRIDE is an innovative, K-8 Archdiocesan program designed to meet the needs of students who learn differently. Our students are of average to above average intelligence, with mild to moderate learning disabilities. Our PRIDE program is staffed by highly qualified special education teachers who design specific programs to meet the personal learning needs of each child. Small group sizes and a modified curriculum for Language Arts and/or Math are hallmarks of our program. From the founding of PRIDE in 1994, our students have flourished in Catholic and area high schools, as well as various colleges. As young adults, they continue to serve as a source of inspiration. P - PUPILS We see pupils in our program as children, first, then as students who learn differently. Our mission is "to teach as Jesus did." R - RECEIVING Our PRIDE students receive individualized attention both in small groups and in the development of a Personalized Progress Plan (PPP) to assist them in achieving success. 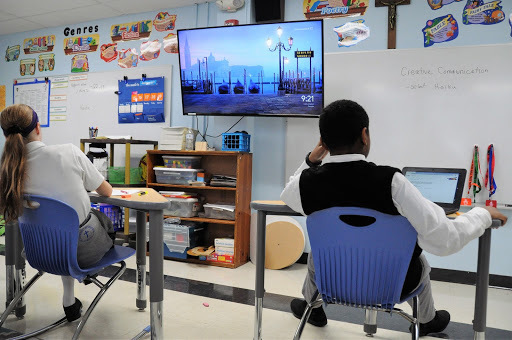 I - INCLUSIVE Like every Archdiocese of Baltimore Catholic School student, PRIDE students benefit from learning in a faith-filled environment. They work in small groups for Reading and/or Math instruction, yet are fully included in all other subject areas with their peers. D - DIVERSIFIED Our program includes development of study strategies and organizational skills as well as classroom accommodations based upon each child's individual needs. E - EDUCATION In a warm, caring environment, uniqueness is celebrated and children are encouraged to utilize their God-given gifts to reach their full potential. A Personalized Progress Plan (PPP) is developed for each PRIDE student. Special educators use the PPP to plan Language Arts and/or Math instruction in a small group setting. These groups meet during the regularly scheduled Language Arts and/r Math instructional times. 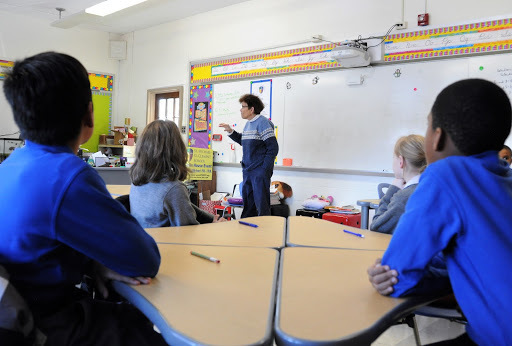 Each child in the program is an integral part of the general education classroom. Most of their day is spent with classmates in social studies, science, religion, and special area subjects. Students meet with success in mastering these content areas. Accommodations based upon their Personalized Progress Plan support achievement. Supported by the total school community, PRIDE students, their parents, and teachers partner to create an environment where all students meet success through ongoing parent support, professional development for all teachers, and integration of educational technology. After a review of this information, we'd either recommend a shadow visit/tour or other alternative. What if I don't have an IEP, where do I start? 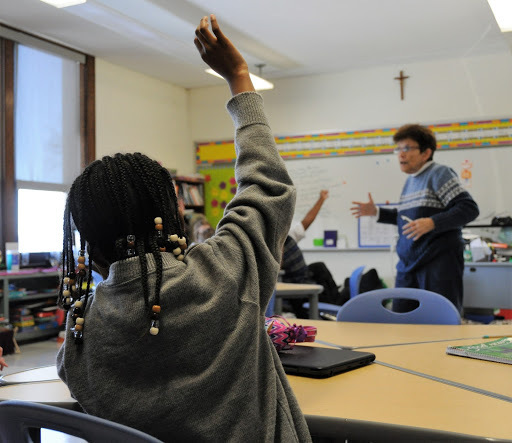 Children who attend a private school can be tested tested via the public school system. This is done through the Child Find Office located in the county of your child's designated private school is located in. For example, if a family lives in Baltimore City, but he/she attends a school in Baltimore County, they would use the Baltimore County Child Find Office, not the Baltimore City. Child Find does not charge for their evaluations. If you are interested, you would call the appropriate Child Find office, tell them that your child is enrolled in a private/parochial school and that you have concerns about x, y, z... and you would like to have a meeting held to determine if the child can be tested. Be as specific as you can about your concerns because that will determine who they have come to the initial meeting. This is especially important if you have any occupational therapy, speech, or language (expressive, receptive, etc.) concerns. You may need to leave a message when you call their office. If they don't get back to you in a couple of cays, call again. Then they should agree to set up a meeting that would be scheduled within 30 days of your call. At the meeting there would be a special educator, a school psychologist, and the IEP chairperson. The purpose of the initial meeting is for you to explain to them why you think your child should be tested. It is helpful to have work samples, previous testing, grades, teacher reports, test scores, etc. with you at the meeting because they are looking for proof of a delay in skill level. Then, if the team decides to do the testing, they will set up times with you to have your child come in to be assessed and a second results meeting will be scheduled 60 days of the initial meeting.